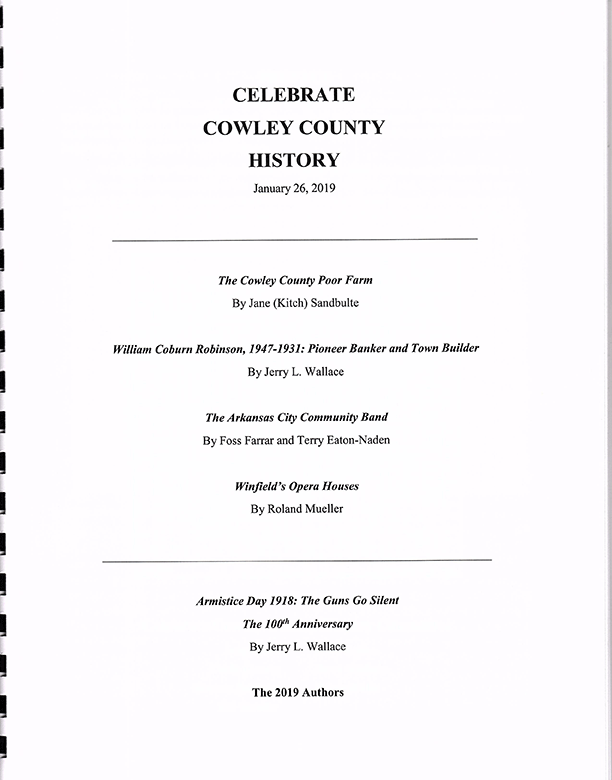 CCHSM has a variety of books for sale that relate to Cowley County. Books can also be purchased at the museum or by mail. Cowley County's Part In Winning The Cold War: The Titan II Missile Complexes by Gerald E. "Jerry" Johnson, USAF, Lt. Col., ret. with William "Bill" Black, USAF, Lt. Col., ret. A Brief History of the Winfield Country Club by Chris Jarvis and Bill Taylor Jr.